Taking my shirt off … PRICELESS! Now most of you probably don’t need all this. These things take me and my training to the next level. But like I said, i’m a dissected gym junkie who’s ready to take on anything. Trying new things not only give me more insight on how my body works, but gives me knowledge on how each and every supplement out there exerts it’s legend. So when I recommend something, know that it has been tried, tested and approved by Mr. West himself. I don’t recommend anything I’ve never used, or give an exercise I’ve never tackled myself. Rest assured, the things I list you can take with your mind at ease. So you want to be the best you can be, but you’re on a budget. 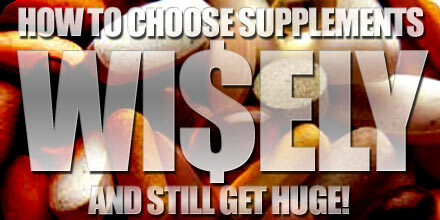 Obviously then the only thing I can suggest is a Whey Protein Powder. It’s essential after a workout. (that’s if you workout) But be careful when buying protein powders. Go too cheap and you end up with a taste so repugnant, and gruesome, you’ll wanna regurgitate after every single sip. It’s hell! Taste is important. Damn right! You get what you pay for in this country, so remember, if something is cheap then it’s probably for good reason. Besides, spend an extra $15-20 bucks and you can get something that will contain no unwanted chemicals, extra BCAA’s, nutrients, vitamins and minerals. But if you have a few extra dollars to spend, i highly recommend getting a multivitamin, some fish oil, and a stack of BCAA’s. It’s good stuff! You can’t lose. You just can’t. Again, watch the cheapness. Cheap things usually come with cheap production. So spend your money wisely and go for top shelf stuff. ← Lose HEALTHY Weight ASAP!